I just got this great fitness shaker cup from Maximum Muscular. This is an awesome set. I have been trying to maintain an healthier lifestyle and part of that is maintaining a low carb, high protein diet. So I was super excited to try out this set from Maximum Muscular. Protein shakes have become a great part of my life so I like trying out different brands to see which ones I like and I also love to be able to take them with me when I’m on the go. The cup is great. There are several different functions which I love because when you are eating healthy and on the go you need a way to keep all your food items so you are not tempted to eat junk. It’s a shaker cup but also has a couple of other feathers. First of all there are two inserts that can hot food items. So you can pop in your healthy snacks one even has a divider so you can put different items into the same container. I usually load mine up with some nuts, cheese, fruit, etc. It also has an infuser insert that you can add fruit to and then use the cup as a water infuser cup. I love that one cup can do so many different things to help you keep up your healthy lifestyle. I can just throw this cup in my bag and have all the things I need to get me through the day! LARGE CAPACITY; holds a whooping 20oz of liquid. Serious athletes will certainly have enough supplements or refreshments to last them an entire workout session. Forget about breaking for a juice refill. COMPACT DESIGN WITH EXTRA COMPARTMENTS; All-in-one solution for storing everything athletes need to make nutritious shakes. 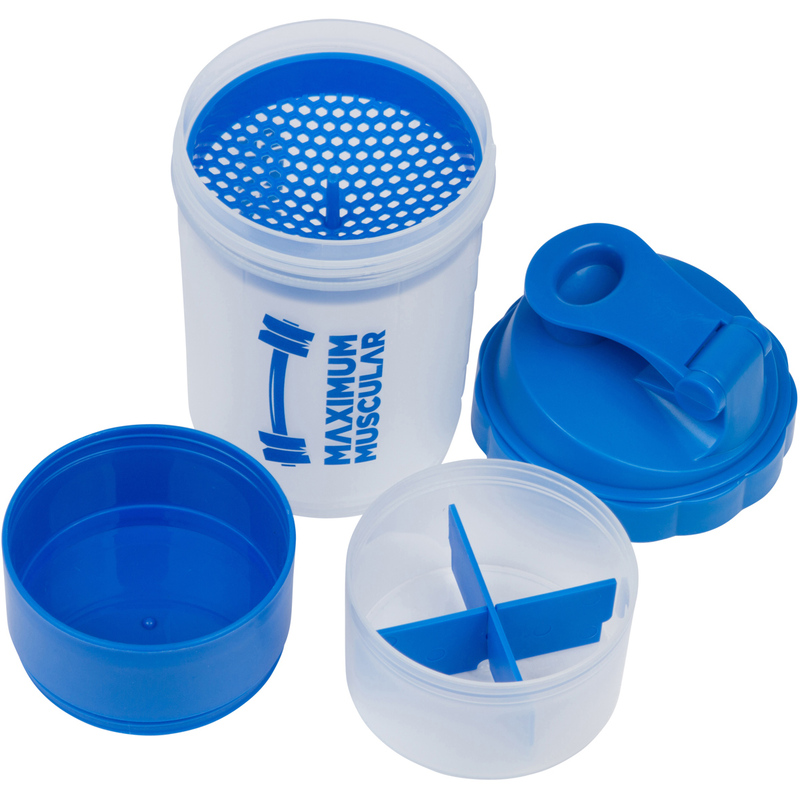 Thanks to the shaker bottle with compartment for supplement pills or powders within the same unit. You will have an incredible two storage spaces. STYLISH COLOUR VARIATIONS; who said gym stuff has to be dull and boring? Add a little fun and attitude to perfect functionality with up to 4 pleasantly fashionable colours to choose from. DURABLE PREMIUM PLASTIC; lightweight and sturdy plastic won’t crack or shatter easily; It will not break easily. With additional packaging during shipping, you are guaranteed to enjoy your shaker bottle for a long time. You can purchase this cup on Amazon! Make sure to enter below for your chance to win one! well this is super convenient!!! My boyfriend would love this! He works out daily and is always making protein shakes. It would also give him a place to put his snacks. This is awesome!